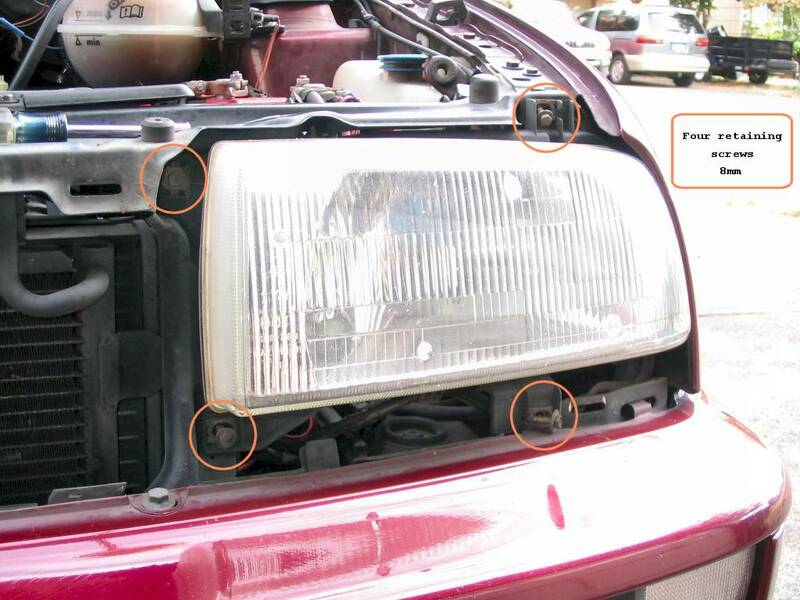 Remove the electrical plug behind the headlight, then remove the four screws that hold the stock headlight and set aside because you will be reusing two of them. Remove the stock headlight. 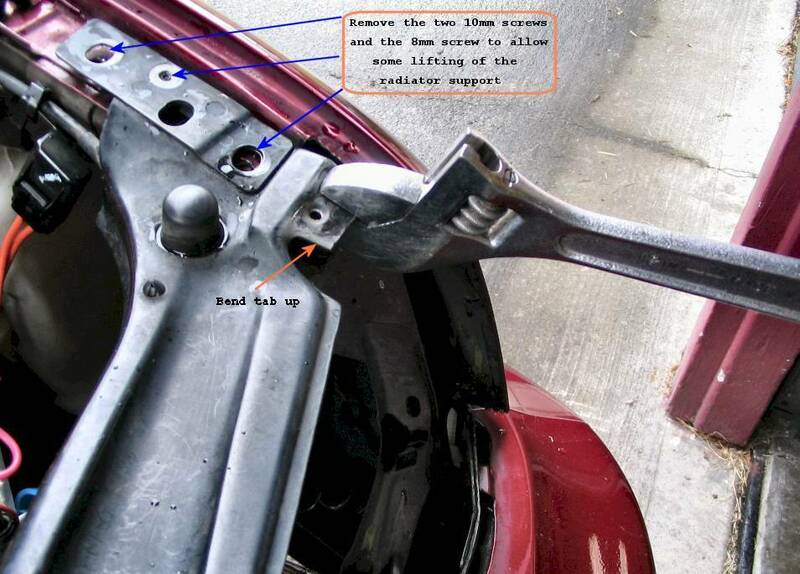 The outer, upper mounting tab is in the vertical position; it will need to be bent up to a horizontal position. 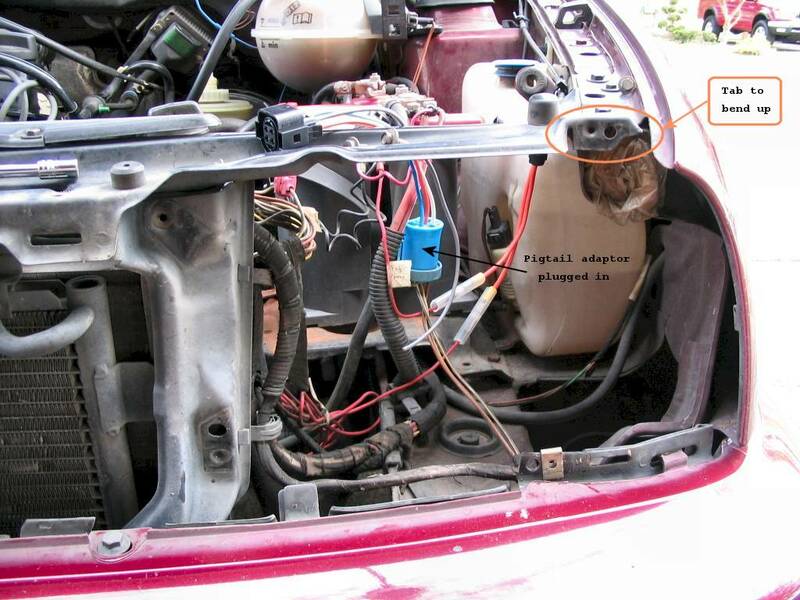 This is a good time to plug in the pigtail adaptor to the stock headlight plug. I used a large, adjustable wrench to bend the tab to the horizontal position. Now remove the two 10mm and 8mm screws that hold down the radiator support. This will allow you to lift it up a little bit, making headlight installation a lot easier.